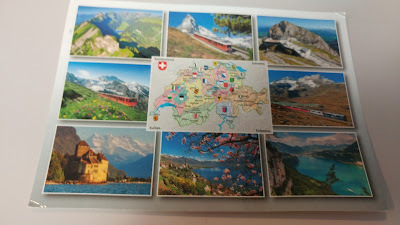 This card journeyed all the way from Switzerland. I love all the scenic views. My mailbox was sadly empty yesterday with no mail at all, not even a bill but hopefully today will bring some exciting mail.